With many years of experience in handling networking equipment, we buy and sell new networking and communication hardware equipment as well as used/refurbished equipment. We give you expert advice on which products and generations work for you and your business. Upgrade on your terms. New and refurbished networking equipment like enterprise routers, switches, servers and IP phones from brands like Cisco, Juniper, HP, Avaya etc. We provide the very best networking and communication hardware products. We only carry brands from manufacturers that meet Industry standards for quality and value, names like Cisco, Juniper, Avaya, Brocade, HP and many more. We provide reliable, cost effective products that exceeds our customers’ expectations. We present a positive attitude at all times, and provide exceptional customer service. We demonstrate a relentless commitment to quality, integrity and continuous improvements. We remain dedicated to our clients. The team at Network Hardware Market have a combined Industry knowledge of more than 15 years. Sell your network hardware and wireless equipment. Let us help turn your used networking equipment into cash. Our procurement team is a fast, easy way to get maximum return for your outdated or surplus network and storage hardware and wireless equipment. Network Hardware Market is a global buyer of used routers, switches, IP telephony and servers from hundreds of OEMs including Cisco, Juniper, Avaya, HP, Brocade and many others. We sell quality products from brands like Cisco, Juniper, HP, Avaya etc. Our customers reply on us to source new, used and refurbished routers, switches, phones and servers. All products are completely tested before selling. And our after sales support team ensures that all customers have hassle free purchase, installation and usage. In the event that you have to get disposal and recycling services then it is brilliant decision on the off chance that you will get it from Network Hardware Market. We guarantee all customers that we can offer excellent IT equipment disposal and recycling service that suits to their needs and needs. We only carry brands from manufacturers that meet industry standards for quality and value. Names include Cisco, Juniper, HP, Avaya etc. We test all items before delivery. We provide reliable and cost effective products that exceed our customers expectations. 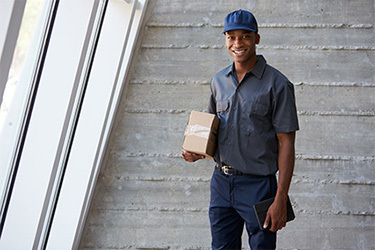 We deliver all products on time via FedEx, UPS, USPS, TNT and DPD couriers. We back all our products with 2 years warrant for end users and 90 days warranty for resellers. Extended warranties available on request. We take great care when packing and posting our items. We happily replace items where possible, and if not, will issue a full refund to keep our customers fully satisfied. Complete customer satisfaction is our goal. With higher satisfaction rates, our clients do repeated business with us and bring additional customers to us. We are available to you quickly via emails, phone calls and text messages. We help small small businesses by supplying quality IT equipment. We buy and sell new, used and refurbished equipment. We only supply quality products that are well tested and in good condition. We also help with selling and disposal of unwanted IT equipment from brands like Cisco, Juniper, HP, Avaya, Netgear, Brocade etc. We deliver all products on time. We arrange shipping facility for people interested to sell/dispose their products with us. We can also ship on our customers’ shipping accounts.